SOLIDWORKS World 2017 is featuring a record number of partners! 117 to be exact, and they’ll be available to meet with you from Sunday, February 5 through Wednesday, February 8. If you’re looking to preview new technology, solve design challenges or view cool products designed in SOLIDWORKS, visiting the Partner Pavilion is a must. Leading up to SOLIDWORKS World 2017, we’re going to publish a handful of blog posts featuring some of the excellent exhibitors you can meet in the Partner Pavilion. 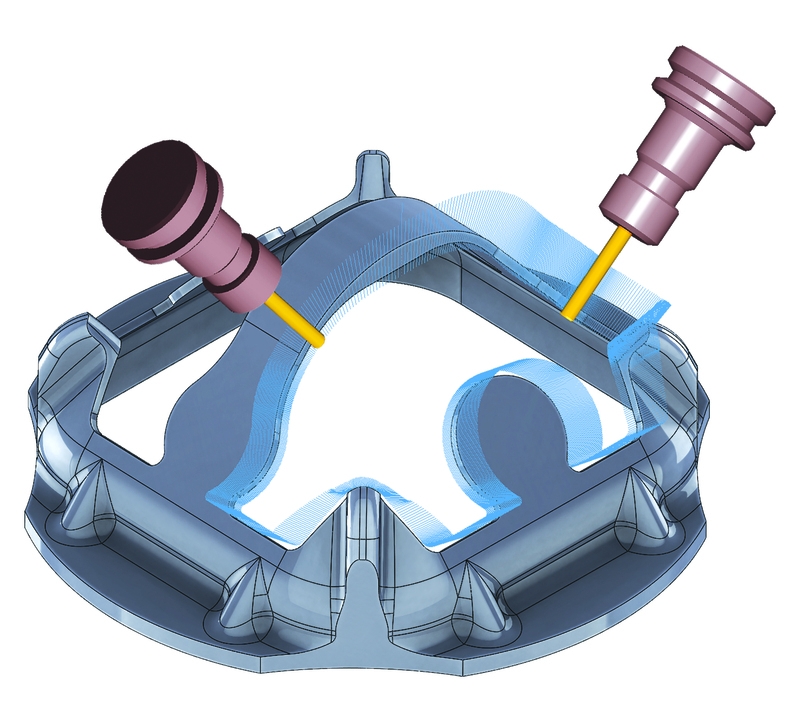 CNC Software provides state-of-the-art software tools for CAD/CAM manufacturing markets. Thecompany strives to provide superior software products, based on user needs and user feedback, to solve simple to complex design and machining problems. Mastercam for SOLIDWORKS brings the power of Mastercam to the most widely-used modeling software. It contains a comprehensive suite of toolpaths and functions, giving users more than one way to get a job done. 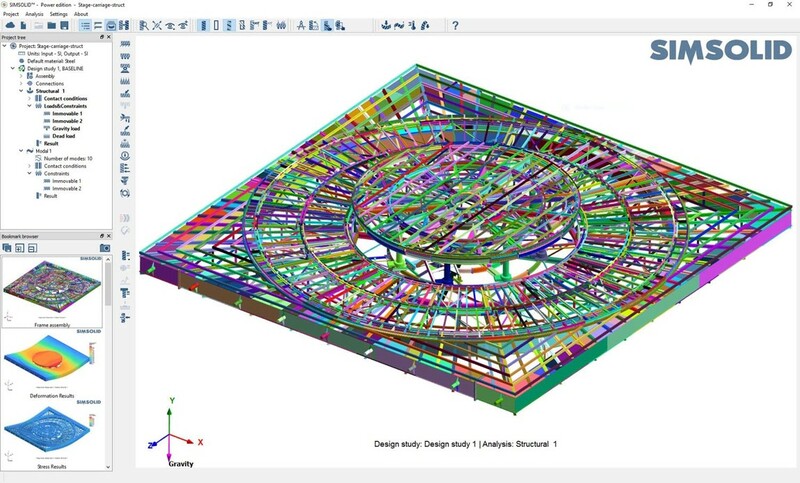 And, once a part is programmed, no matter how simple or complex, users can modify any element of the job and immediately get updated toolpaths without starting over. And, because Mastercam for SOLIDWORKS is a fully-integrated Gold Partner product, it’s fast, easy to use, and productive. A visit to booth 607 will let you check out Mastercam 2017, the company’s most recent release, which delivers a suite of programming tools focused on delivering speed, automation, and efficiency. Mastercam 2017 was built to provide a more efficient workflow, improved usability, as well as Dynamic Motion improvements. It features a new ribbon interface and makes it easier to find the functions you need to complete your job. New manufacturing techniques are moving at the speed of light, and Pluralsight is here to keep your skills sharp. Pluralsight is an online technology learning platform offering courses on how to use many software packages, including SOLIDWORKS. Courses are built from the ground up by subject matter experts and are constantly vetted by editors with a passion for learning. The ultimate goal is providing resources to help users improve job skills on their own time and at their own pace. Learning doesn’t just happen in a classroom. All Pluralsight courses are in the cloud and can be accessed from devices anytime—day or night. Whether you need to brush up on your SOLIDWORKS skills or learn a new concept, you can find courses that fit your schedule and expertise. If you’re unsure of your skill level, assessments are available to identify the concepts you already know and what skills you need to improve on. If you need additional help, mentors are available for one-on-one training. In addition to learning about how you can keep up to date with SOLIDWORKS features, stopping by booth 735 will be like visiting swag city. Pluralsight is handing out custom 3D-printed magnets, multi-use tools, offering 30-day trials to its platform and raffling off a MakerBot Replicator Fifth Generation 3D printer. New at SOLIDWORKS World is SIMSOLID, makers of next-generation analysis technology. SIMSOLID has been designed to analyze complex parts and large assemblies not practical with traditional FEA and do it efficiently on a desktop-class computer. Assemblies of hundreds or even thousands of parts can be solved using this new approach. SIMSOLID is the perfect complement to existing SOLIDWORKS Simulation capabilities in that it extends the analysis range to large assemblies and provides feedback in seconds to minutes. SIMSOLID is structural FEA with a twist. While most users will find a familiar environment to apply loads and evaluate results, there are two important operations that are missing. First, is geometry simplification. SIMSOLID analyzes the fully detailed CAD representation directly. Users no longer have to simplify their designs and remove small features or parts. Bolts with threads, washers and nuts – OK to leave in. Small imprints, fillets or rounds – OK to leave in. SIMSOLID is capable of solving assembly models with parts of different scale. Assemblies containing parts that are thick and thin or big and small – OK to leave in together. Stop by booth 303 to learn about this exciting new technology and how next-generation analysis tools can change how your designs are evaluated. SIMSOLID will also raffle off a six-month subscription for booth visitors! 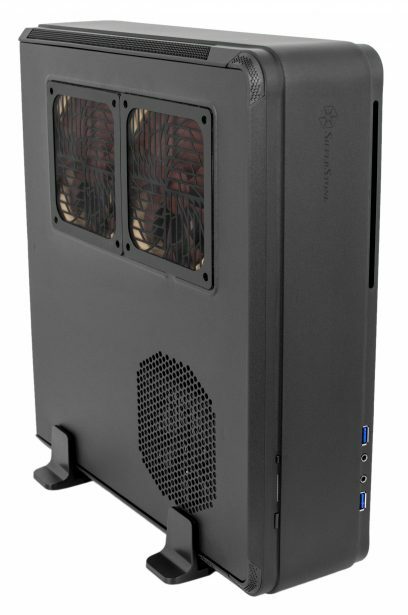 Puget Systems specializes in high-end workstations for engineers and content creators. Founded back in late 2000, Puget Systems has 16 years of experience building whisper quiet and highly reliable workstations. The company’s core philosophy is that PCs should be a pleasure to purchase and own and that machines should get your work done without being a hindrance. This is why Puget Systems’ performs thorough software testing to ensure the best experience possible for your work. Puget Systems’ “Recommended Systems for SOLIDWORKS” not only provide the best possible performance for SOLIDWORKS, but they are also some of the most reliable workstations on the market. These workstations are designed specifically to fit the workflow of engineers using SOLIDWORKS and/or various simulation packages. The machines are extensively tested and validated for any size / complexity of 3d models in SOLIDWORKS. And, as down-time is a major concern, Puget Systems carefully chooses only the most reliable components for its SOLIDWORKS workstations. Stop by booth 201 to see try the SOLIDWORKS workstations with the newest generation of Intel CPUs that are tested and validated on SOLIDWORKS 2017. Without the need for overclocking, these CPUs will provide SOLIDWORKS users with a 7-10% performance increase just from the previous generation. In addition, you can meet with experts to help you cut through the hardware noise and understand, through data and analysis, what IS important for your SOLIDWORKS workstation. Now that you’re familiar with some of our exhibiting partners, here’s what you need to know about Partner Pavilion hours to you make the most of your visit to SOLIDWORKS World 2017.